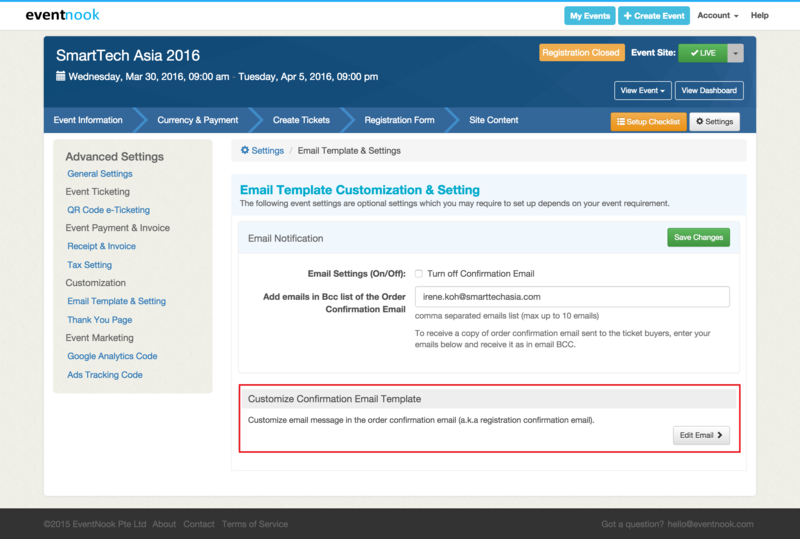 Can I customize the registration confirmation email? 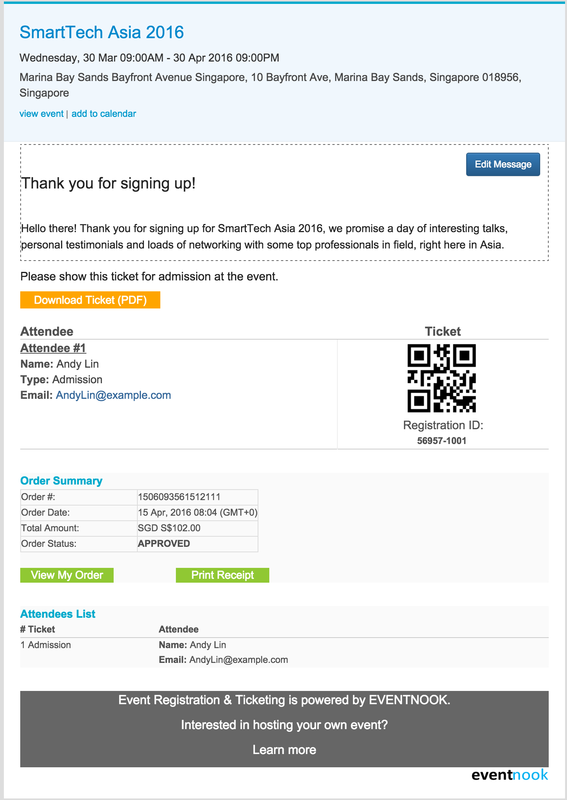 EventNook’s “Registration Confirmation Email” can be custom built to best suit the needs of your event attendees. 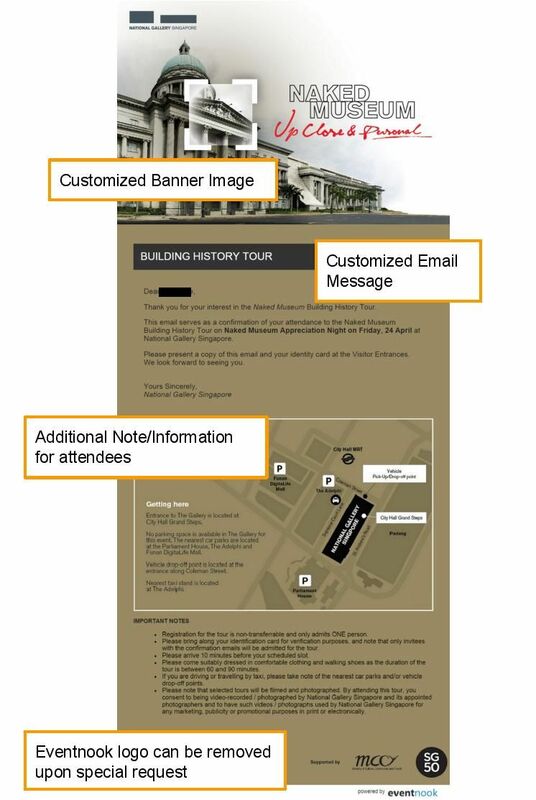 With our “Customize Confirmation Email Template” event organizers can customize the standard “Confirmation Email” template to include messages about the event day; white-label branding ,add images such as maps, state terms and conditions, venue information and much more. This feature is available to all Pro Package users only. Pro Package users find this feature available to them by simply clicking Customize Confirmation Email Template under the Settings section. The screenshot below shows an example of how an order confirmation email may be customized. If you have any other specific needs that are not listed, feel free to contact us and we will do our best to support your requests. For further enquiry, please contact us at +65 6681-6571 or email us at hello@eventnook.com.